The recent Federal Government Budget included great news for small business owners. Plumbers and tradies can win a 100% tax depreciation on assets like high pressure jetting equipment. The scheme, due to finish on June 30th 2019 has now been extended and expanded! Business owners with turnovers of up to $50,000,000 can write off assets purchased this financial year to the individual item value of up to $30,000. The best news is that they are not limited to the number of assets that can be purchased as individual items. 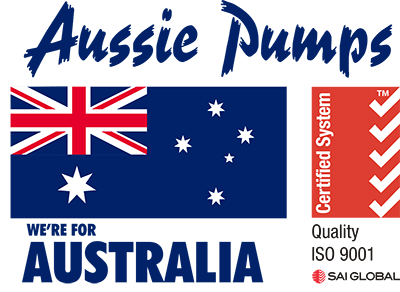 Australian Pump recommends plumbers check with their tax agent fast. Buying before the 30th June 2019 means a massive depreciation benefit kicking in for this year. Eligible plumbers are urged to buy assets now with the 30th June deadline only week’s away! “Buying a new Aussie Jetter or, replacing an old machine with a new and upgraded version is a top idea” said Aussie Pumps Mal Patel. “A Jetter provides not just an extra service that can be offered to consumers but adds real value to any plumber’s business” he said. Australian Pumps pioneered the high pressure Jetter and are the biggest manufacturer in Australia. Their machines are continually evolving with the recent release of stainless steel framed units compact “cube” design. The company is putting in a crash build programme to get more units built for delivery before 30th June to meet demand. “Our phones are running hot already as plumbing retailers and dealers get ready for what looks like a major Jetter rush” said Patel. Aussie is urging plumbers to buy the Jetters before 30th June deadline to maximise the tax return. That way they can start benefiting from the new efficiency the Jetter gives the business. They then get a 30% to 49% government discount depending on their tax rate. With reducing tax next year rebates are tipped to be less! More information including Aussie’s handy Jetter Tax Depreciation Guide is available free of charge by contacting Aussie Pumps or major plumbing retailers.